It is gratifying that UPND president Hakainde Hichilema has finally done what all right thinking Zambians expected him to do in the last few weeks- putting his deputy Geoffrey Bwalya Mwamba in his right place. 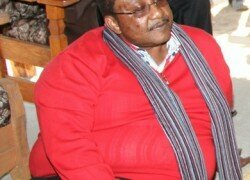 In the past weeks, Mr Mwamba has been in the news for the wrong reasons, clearly away from political discourse. Apart from threatening political leaders with jail time if the UPND formed Government, Mr Mwamba has gone vulgar encouraging his victims to record and disseminate his phone conversation smeared in virulent language. The latest was Mr Mwamba threatening that if UPND formed Government after the August 11, President Edgar Lungu would straight away be sent to jail. He extended his diatribe to Daily Nation proprietor Richard Sakala whose only offence has been to give a voice to Zambians through the newspaper. Zambians have certainly been left wondering whether Mr Mwamba’s utterances, in some cases, laced with vulgar language, had become the new culture of the UPND. This is because there has been deafening silence from the rank and file of the UPND raising two suspicions; the UPND were afraid of the number two in the party that they did not dare criticise him or the culture of vulgar language had been adopted by the rank and file of the party. On our part, we are never afraid of facing the law as Zambia’s justice system, handled by impartial men and women, accords fair trials and promotes the rule of law. Unless a leader was a despot, the law forbids Kangaroo courts where the power of arrest, the jury and the judge are in one and the same person. In Zambia’s judicial system, the accused have the right of reply and to be heard when they are arraigned. This is what the legal brains in the UPND should have been educating their deputy president about. If the UPND thought the threats and vulgar language were a sure way of winning votes in the August 11 elections, then the opposite has been true. Zambians may be afraid to stand up to a vicious leader but they know where to sort out such in the political system. The leadership of the UPND should not focus on maximising votes at the expense of discipline in the rank and file of the party membership. We are happy that sanity is dawning in UPND with Mr Hichilema standing up to overrule his deputy over hate speech or is it unpalatable language. Mr Mwamba should not be allowed to dictate the policy direction of the UPND because doing so, if the opposition political party formed Government, would be tantamount to a ‘coup’. Otherwise, we encourage Mr Hichilema to be firm when instilling discipline in the UPND which recently appeared selective.